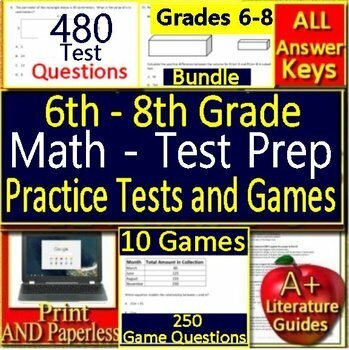 Georgia Milestones (GMAS) Math Practice Tests and Games Bundle! 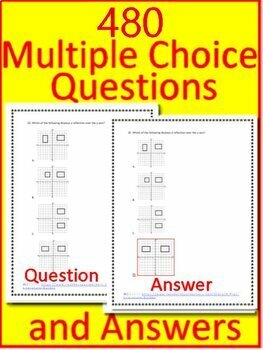 Get ready for state testing using these practice tests and game shows for Middle School! Grades 6 - 8. 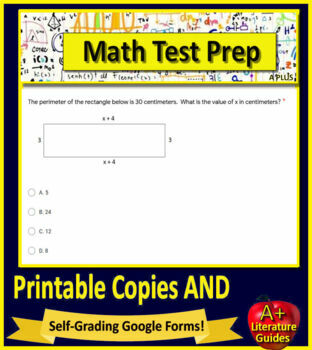 The practice tests can be taken on paper OR in Google Classroom. Both versions are included with your purchase. They include 250 test questions and answers. The games are Jeopardy style PowerPoint, and include 10 games with 250 questions and answers. 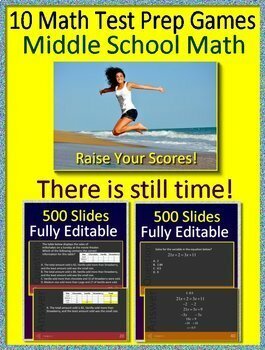 The slides are fully editable.